The first vitamin that is best when it comes to boosting your immune system is Vitamin A. It has antioxidant properties that prevent cellular damage that is brought about by oxidation. The antioxidant character prevents the occurrence of degenerative diseases which may occur during the process of aging. Vitamin A improves the vision and also keeps the skin soft and smooth. Usually the foods that contain Vitamin A in abundance contain fats and cholesterol therefore they should not be eaten in excess. Some foods that are rich in Vitamin A are eggs, milk, liver and meat. Vitamin C is a water soluble vitamin. It is extremely important for growth and development. Our body needs continuous supplies of Vitamin C. Excess amounts of this vitamin are excreted through urine. With sufficient intake of Vitamin C, wound healing is promoted. If deficiency of Vitamin C occurs, it may result in prolonged wound healing. It has antioxidant properties that fight off free radicals and prevent cellular degeneration and inflammatory conditions. Moreover, Vitamin C also protects our body from irritants and toxic chemicals. Vitamin C is a significant element that boosts our immune system. Raspberries, cranberries, mango, watermelon and pineapples contain high amounts of Vitamin C and are therefore best sources of this vitamin. Vitamin D aids the absorption of calcium. It plays a major role in prevention of diseases involving bone degeneration like osteoporosis. It significantly strengthens the immune system. Moreover, it also prevents inflammation. The primary source of Vitamin D is sunlight. The body prepares it on exposure to sunlight. People do not usually suffer from Vitamin D deficiency as they get adequate exposure to sun. However, deficiency may result with inadequate quantities of the vitamin in body. Vitamin D rich foods are orange juice, margarine, yoghurt and cheese. Free radicals are produced in the body as a result of oxidation. Free radicals affect the cells. They cause cell death and genetic damage. Vitamin E ties up these free radicals and therefore prevent cell death and genetic damage. People who have sufficient quantities of Vitamin E in their bodies are at a lower risk of cancer and heart diseases. Moreover, it also helps in the prevention of liver and kidney diseases. Vitamin E is also said to control blood sugar levels and cholesterol levels. Some vitamin E rich foods include liver, eggs, sunflower, dark green leafy vegetables and avocados. Vitamin B complex converts the food that we consume into fuel that the body utilizes for the development and growth. It prevents a number of diseases from occurring. Vitamin B9, more commonly known as folic acid is said to prevent some cancers. Vitamin B complex is therefore, extremely necessary and should be made a part of regular diet. Vitamin K protects the body from liver and prostate cancers. Moreover, it also prevents the calcification of arteries. It is essential in the process of blood clotting. After an injury, Vitamin K ensures a normal blood flow. By preventing the calcification of arteries, it also prevents the occurrence of any kind of heart diseases. Excess deposition of calcium and other substances may lead to conditions like atherosclerosis which is more commonly known as the hardening of arteries. Vitamins are essential for maintenance of the immune system. They make up a significant percentage of our diet and constitute greatly to a healthy body. 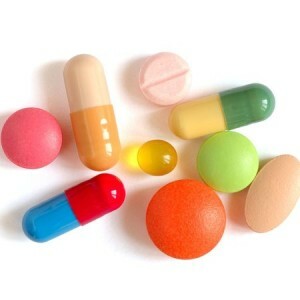 Deficiency of vitamins may lead to certain disorders. If your diet does not contain sufficient quantities of Vitamins, vitamin supplementation is done. Any compromises with the functioning of the immune system may lead to a compromised health therefore, one should take close care of their diet.